I like to use envelopes. I like to be organized and these help me to do just that. had them before and are great for filing important papers and paid bills . 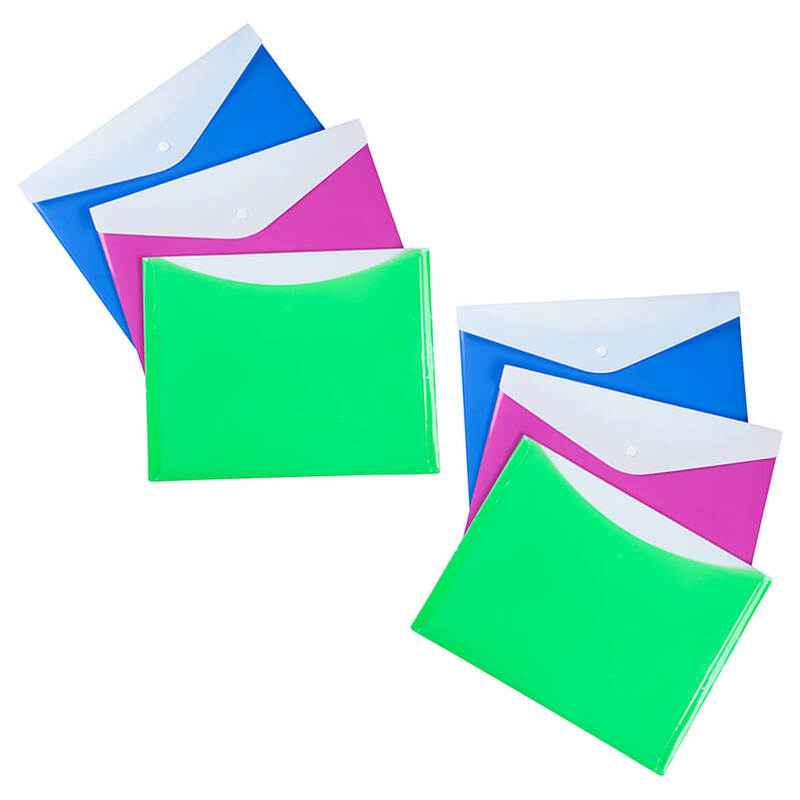 I bought envelopes several years ago that are similar to these. They hold important paperwork without tearing apart the way paper envelopes do. I have looked for these for several years. Glad I found them again! I am hoping these folders keep my papers in better than just a manila folder because they snap shut. Have some of these; very useful. Is there a clear (no color) one of these, and in the letter style, as opposed to this landscape style pictured? BEST ANSWER: Thank you for your question. Please click on the following link to view the only clear styles we have. 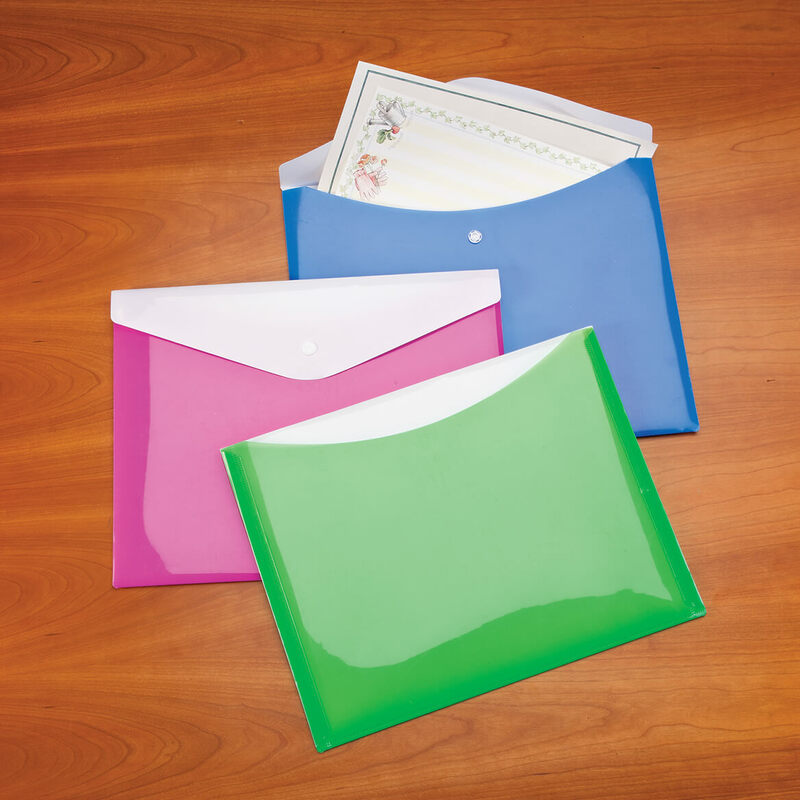 https://www.mileskimball.com/buy-fabric-edged-clear-plastic-envelopes-331466?query=clear%20envelopes We hope this information will be of help to you. Print catalog says set of 6, online says 3. How many do you get #361644? BEST ANSWER: Thank you for your question. The website is correct, it is a set of 3. We hope this information will be of help to you.